Those that fly with the wind with grace capture the hearts of their owners in a different way, and likewise the hearts of the judges. Nominees in this category run the gamut from modern classics to high-performance, regatta-winning racing machines. 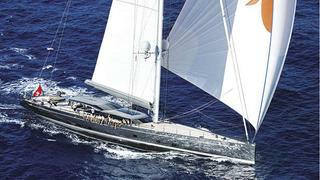 Here we present the winners of the World Superyacht Awards in the various sailing superyacht award categories. 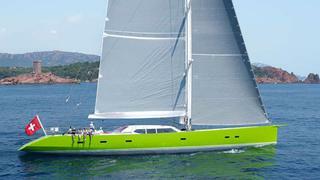 After study of the five finalists in this class – two modern classics, and three fast cruising yachts with varying performance graphs – the 46-metre, Dubois-designed and Vitters-built, Ganesha became the focus of the judges’ close attention. Constructed for an experienced yachtsman, Ganesha features elegant lines that incorporate a modern plumb bow and a low superstructure, without flying bridge, that provides an extremely sleek appearance. 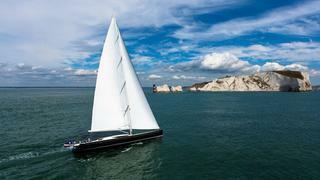 Lightweight construction combined with a carbon-fibre rig and a lifting keel ensures optimum performance. Within the yacht, the judges admired the comfortable modern interior that blends perfectly with the yacht’s exterior, while offering a high level of comfort and detailed customisation for her owners. Extremely well built, she is a worthy winner. This year, with two classically-styled sailing yachts among the entries, the judges decided to award a ‘Spirit of Tradition’ prize in recognition of the fact that it is difficult to compare the facilities of such yachts with those of a modern cruiser/racer. 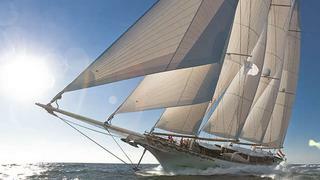 The clear winner was the 64-metre Mikhail S Vorontzov, designed by Dykstra Naval Architects and styled by Ken Freivokh Design, whose laminated wooden hull and classic three-masted rig recalls the sail-trading vessels of the late 19th Century. The hull was built in Turkey, while the detailed outfitting was undertaken in Holland. The quality of both impressed the judges, as did the yacht’s comfortable interior, which perfectly matches the style of the vessel. This competitive class was equally split between three cruiser/racers and three pure cruising yachts, all premium examples of their breeds, and the judges debated their pros and cons at some length. The judges sought an optimum balance between seaworthiness, elegance, practicality, quality of build and, of course, whether the yacht suited the stated needs of its owner. It was a very close-fought contest, but when the votes were counted the 32.6-metre, superyacht Inukshuk, built by Baltic Yachts to a design by German Frers with an interior by Adam Lay Studio, topped the tables. The judges particularly admired her low profile deck house, uncluttered decks and state-of-the-art rig and sailing systems which led them to the conclusion that this yacht is an excellent example of a modern cruiser/racer, with excellent performance and high levels of comfort, elegance and safety.